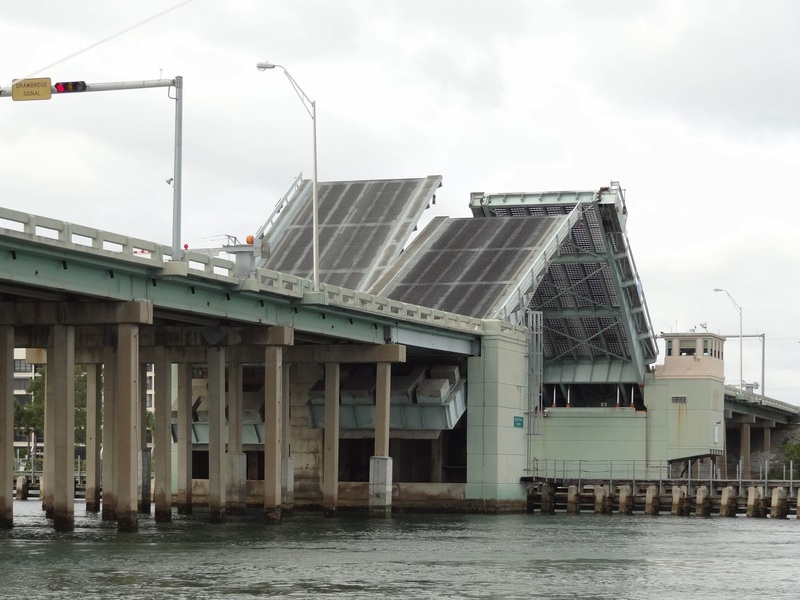 The US-1 (SR-5) Bridge (FDOT #930005) is a 843 ft long bridge with parallel twin leaf bascule spans that crosses at a bend in the Intracoastal Waterway in the City of Jupiter. Similar to yesterday's bridge the approach spans are precast girders on multicolumn bents. Note the counterweights are big blocks of concrete in steel bins that sit under the adjacent spans. This bridge is 843.6 ft long with a 116.5 ft bascule span and it was built in 1958. It's 65 ft wide (carrying one of the main roads through town) and the constant opening and closing is a major nuisance. 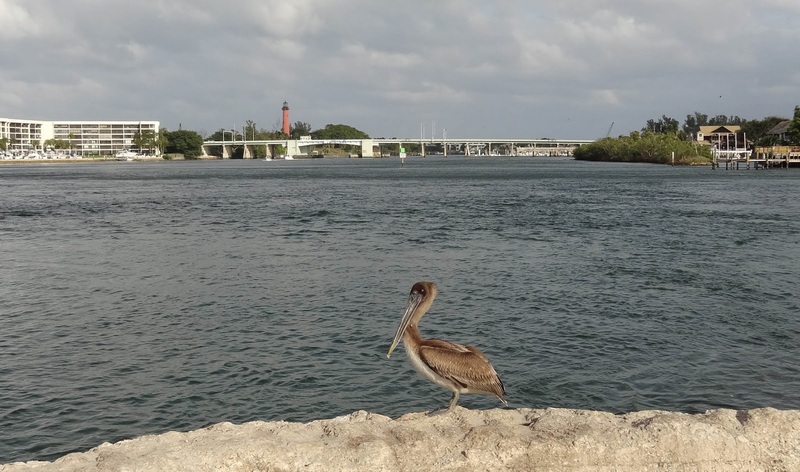 Palm Beach County, Florida Bridges: US1 Bridge across the Intracoastal Waterway by Mark Yashinsky is licensed under a Creative Commons Attribution-NonCommercial-NoDerivatives 4.0 International License.